It’s almost like time travel exists! 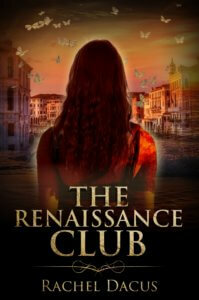 As it does in my new WIP, THE RENAISSANCE CLUB. We now have a new masterpiece by the inventor of the Baroque, seventeenth century artist Gianlorenzo Bernini (and one of my novel’s main characters). 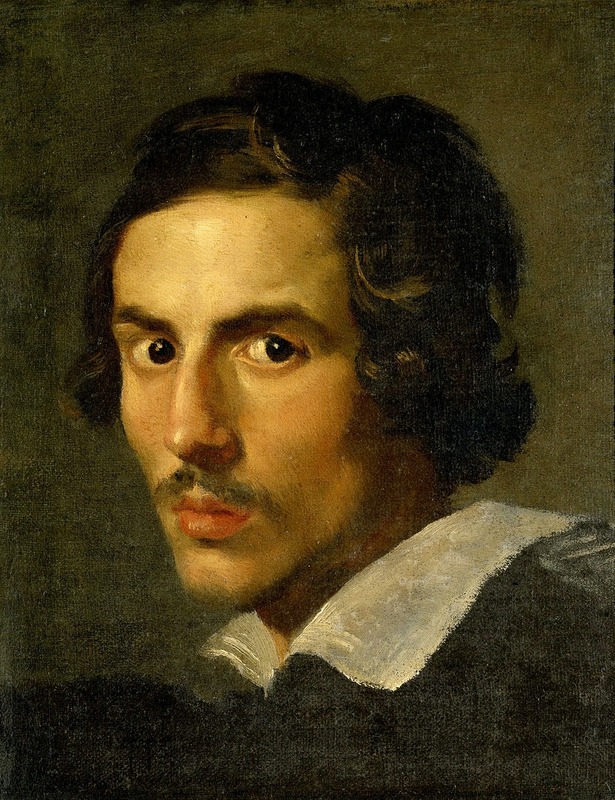 According to the New York Times’ article, the Getty Museum just came upon one of the rarest of finds, a new work by Bernini, one that was thought long ago lost. The minute you look at it, it’s clear it’s an authentic Bernini. And the provenance makes that positive. What I love is that it’s an early Bernini, the beginning of his ground breaking work in portraiture. 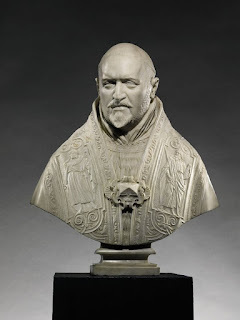 This avenue of his sculpting, marble portrait busts and the way he made them seem to live and breathe, figures as part of the plot of my yet-to-be published novel The Renaissance Club that has Bernini as a main character. I just hope the Getty keeps digging. Who knows what is down there, in that bottomless basement of art they must have, given their incredible amount of funding. Bernini lives! And apparently, is still working, folding time to suit himself, so he can surprise us with new work. UPDATE: THE RENAISSANCE CLUB, a magic realism novel of love, art, creativity, and time, is moving toward making an appearance and being available to you. Email me at rachel@dacushome.com and I’ll put you on the update list. I’m working on a series of scenes in my novel about the great Renaissance sculptor Bernini and his mistress, Costanza, wife of one of his assistants in Bernini’s busy sculpture studio. 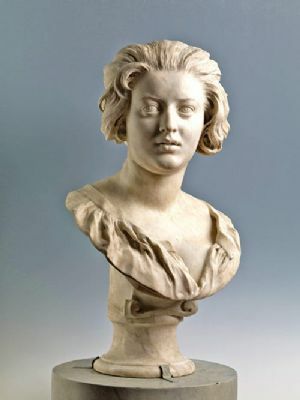 Bernini had his servant slash Costanza’s lovely face after discovering she had slept with his brother. I found it hard to get into the mind of a character who could do such a thing, so I delved into the story of Costanza and the grisly cultural context of face-slashings in that era. Every man in Rome wore a knife (even some priests). They were almost as prevalent in seventeenth century Rome as guns in today’s America. Italians also had a high sense of honor/dishonor and retribution. There’s a good reason the word “vendetta” comes from the Italian. Put vendetta together with knife and you begin to get the picture. But look at the long-term picture of Costanza. Costanza wasn’t killed by the servant’s attack. She wasn’t even disabled. She may have been repaired by one of the burgeoning new class of plastic surgeons who were inventing ways to repair the cuts and disfigurements that were common punishments of the time. As Sarah McPhee details in her fascinating new biography, Costanza Piccolomini went on to live a long and prosperous life — and amazingly, remained married to her husband, who more amazingly continued until his death as Bernini’s assistant. There’s something that isn’t being told in this tale. Costanza’s nose wasn’t under attack, but her beautiful cheeks were. Perhaps they mended to such a degree that she was still considered a beauty. The story of Costanza and Bernini isn’t as simple as is often presented through the lens of our contemporary values. Another common practice of the day was for husbands to offer their wives’ favors to patrons who could further their careers. Can you say “pimp” in Italian? (“Mezzano.”) The varieties of possibility in this love triangle stagger modern sensibility, but one thing is clear: Costanza was able to heal and thrive beyond this phase of her life. Bernini’s career was also patched up by the Pope, who ordered him to get married and who sent the brother into exile and the mistress to jail. 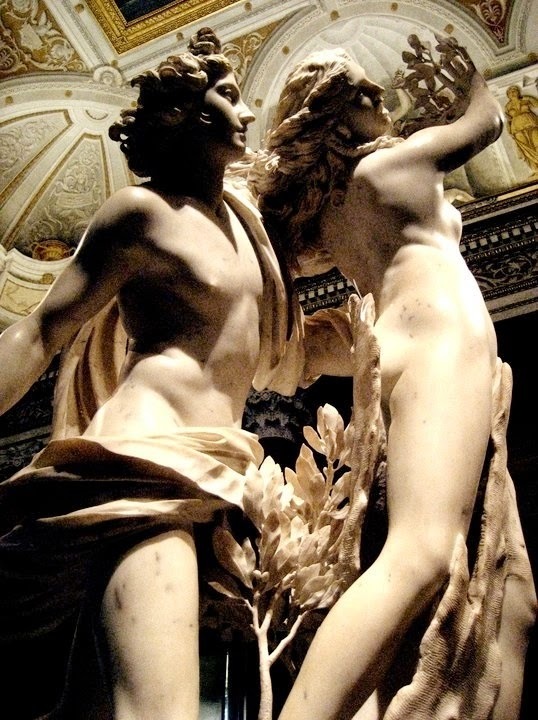 Adulterous women were the ones punished in Bernini’s Rome. But at least there was a way to repair. Take a look at the marble bust and see what a scar would do to such a beautiful face.